Bihar Board 12th Science Syllabus - Every Year BSEB Board Patna takes the exam in Feb. Here Full Syllabus Which Helpful in exam 2019. Here All Subject Wise Uploaded Check All Subject Here. Download Full Science Syllabus 2019 Exam updates here. Images And Photo are clear to read please download the image to read it now. 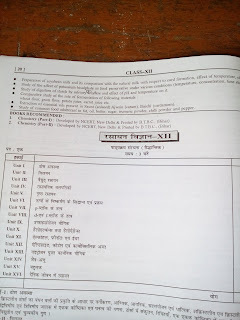 Download Images To Read Syllabus For Exam 2019. Click On Image and View as or open as new tab save as in your gallery or visit daily to read. Same Applied process to download syllabus. Below Full Syllabus by chapter wise.